Guys! Come on, get up! 6 SAVE THE FUTURE!!♪Transform!! Save the future!! Through lottery draw, 100 people will receive 'Mitsuhiro Oikawa Candies' as gift.
? 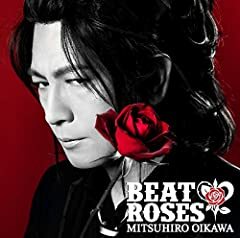 及川光博 ワンマンショーツアー『BEAT &amp; ROSES』の模様が独占放送決定｜E-TALENTBANK co.,ltd.